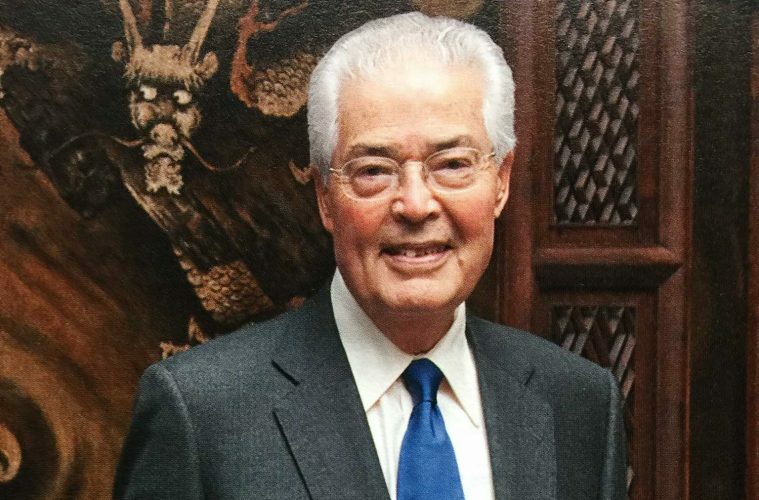 Trustee Emeritus Robert Hung Ngai Ho ’56, H’11 has confirmed a $15 million gift to Colgate University to establish the Robert Hung Ngai Ho Mind, Brain, and Behavior Initiative. Funds from the gift will also be used to renovate and expand Olin Hall, which will house the initiative. The Robert Hung Ngai Ho Mind, Brain, and Behavior Initiative will connect faculty in psychological and brain sciences, neuroscience, biology, philosophy, linguistics, and several language programs. The initiative is of significant scope and magnitude, with additional funding to be announced. Faculty and administrators are currently at work refining the details of the initiative, which is connected to a renovation and planned expansion of Olin Hall that is projected to be completed in the summer of 2022. This gift is the latest expression of Ho’s commitment to Colgate. Gifts made in 1993 established an endowed professorship in Asian studies and a fund to support the University’s China Study Group. In December of 2003, the Ho family provided support for a strategic plan that included the construction of the Robert H.N. Ho Science Center — with an additional gift to fund the Ho Tung Visualization Laboratory, dedicated to Robert Ho’s grandfather Sir Robert Ho Tung. Ho’s most recent contribution supported important enhancements to this laboratory.